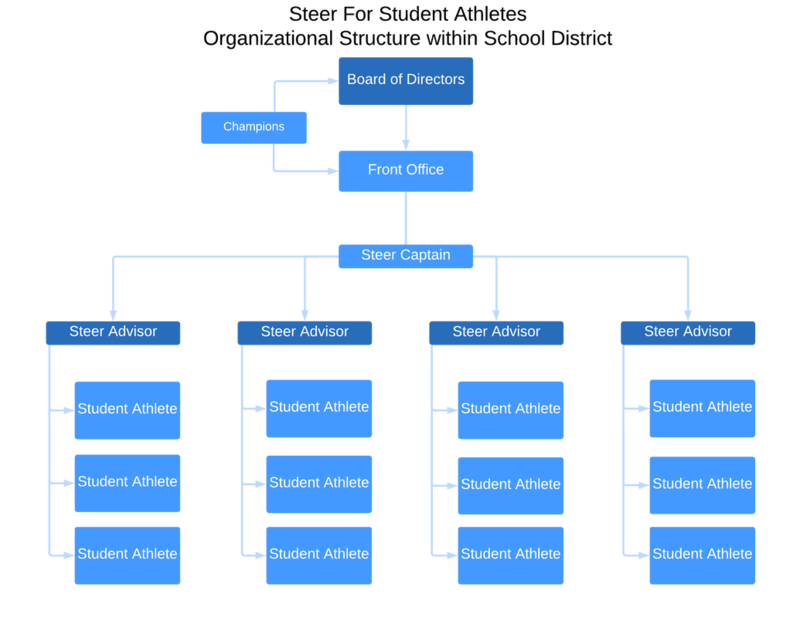 Organizational Structure - STEER FOR STUDENT ATHLETES INC. Here is a snap shot overview of how our organization is structured in the Port Chester - Rye Union Free School District extending from the Board of Directors to our Student Athletes. This model is drawn to scale. Each STEER Advisor has a capacity of being assigned three STEER Student Athletes at a time. 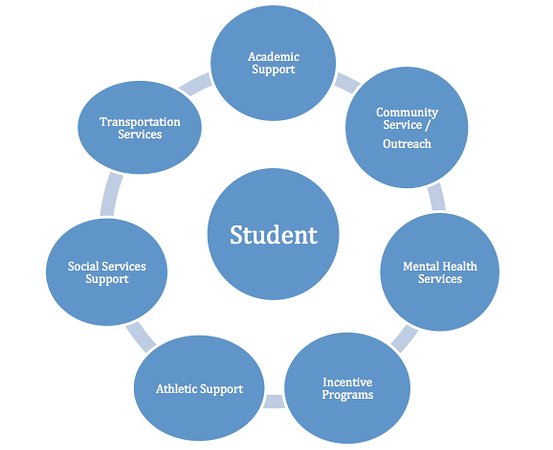 The STEER program is designed to provide each student with the displayed wrap around services. When there is need, these services are identified, communicated, and delivered by the student's STEER Advisor. Copyright © 2018 Steer For Student Athletes Inc. All rights reserved.